As the Tripawds community continues to grow, with more blog posts and forum topics publishing daily than ever before, it becomes increasingly important to ensure the safety of our users, and the integrity of information shared here in the blogs and forums. After recently enabling first post moderation for all new member blog posts, we have now implemented a new feature here in the forums that allows members to report questionable posts which the admins and moderators may have missed. A new icon now displays above every forum post on both desktop and mobile browsers. The small flag button appears next to the Reply and Send PM buttons at top right of each individual forum post. Users can click or tap the Report Post link to open a field for drafting a message to the site admins. Please see below for important guidelines when reporting any post. A copy of the reported post will be sent to the admins along with your message. Authors of reported posts will not be automatically notified that their post has been reported, however, reporting is not an anonymous process either as the administrators may need to communicate with any member who reports a post. Please carefully decide whether a post warrants reporting. Is it spammy? Has the user provided affiliate links in their post? Does it include a GoFundMe link or other plea for financial assistance? Have hateful remarks been made? Does the post author offer specific veterinary advice regarding wound care, or medication dosage – for example – without the user being identified as a currently verified veterinary expert? Please be as specific as possible when reporting any post. Address any specific concerns you may have about the post being reported. If applicable, provide links to the author’s blog and/or other forum posts relative to that which is being reported. Poor Post Report Example: Check this out. Good Post Report Example: [username-1] advised [username-2] to double her dog’s dose of Tramadol without consulting her veternarian. Good Post Report Example: [username] pasted the link to his GoFundMe page again and keeps asking for financial support as he did here at [topic-link]. Site administrators and moderators cannot be everywhere at once, every day. This reporting feature is a way to help prevent spam, prohibit personal fundraising appeals, and ensure that forum discussions never cross the line between providing personal opinions and emotional support, versus offering veterinary advice that could potentially make a bad situation worse, or even put our community in legal jeopardy. If any member is concerned about specific comments in a post, site administrators can now be notified to investigate. 1. Offering emotional support. Offer a shoulder to lean on through good times and bad. If you understand the worries that accompany recovery and treatment, let that worried pet parent know. Encourage them to share their experiences without fear of judgement. And share what you felt like when you were in their shoes. Even if you have not been in their exact situation, just offering an encouraging comment can make all the difference. 2. Encouraging better dialog with their veterinarian. Our first goal as members is to offer emotional support. Our second is to encourage better dialogue with clinic staff to resolve worrisome situations. If a member has concerns about their veterinarian’s prescribed care, try not to jump to conclusions: remember, we only see a small glimpse of the entire picture. You can help in ways such as suggesting second opinions, letting members know that calmly calling to get questions answered is not “bothering” the vet but advocating for your pet. A welcome response is something to look for in a good practice. 3. Providing helpful resources. Whenever possible, point other users to the many resources and assistance programs Tripawds has to offer. If possible, help others by performing forum or blog searches and provide links to other relative discussions where questions may have already been answered. When in doubt, help confused new members by directing them to the Tripawds Start Page or suggest they watch the Tripawds Forums Tutorial Video. 4. Finally, remember to share that “we are not vets.” Unless you are a currently credentialed and verified veterinarian, providing specific medical advice on prescribed veterinary treatments is dangerous territory. For example, posts suggesting drug dosages and timing intervals for a prescription from anyone without the Veterinary Expert badge warrant reporting. It’s fine to offer your own experience with treatments and all the different aspects of amputation and cancer care, but if you do, please add the disclaimer “I am not a vet” and encourage members to talk to their vets about the situation. If you carry a current medical license, please share that information so that members know a professional opinion is being provided. Everything we’ve explained above applies to all Tripawds Discussion Forums, member blogs and behind the scenes in our Private Messaging* system. If a member’s post is reported because it potentially violates these guidelines, administrators shall determine the necessary action which could result in permanent removal from the community after one warning. 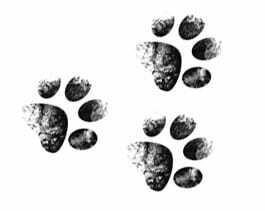 *Any member who receives a private message or personal email from another Tripawds user which violates these guidelines is encouraged to forward that message to Admin and Jerry. There is currently no other method available for reporting private messages. The collective experiences of the Tripawds Community is a powerful way to help others get through hard times and thrive once again. We deeply appreciate your responsible participation. Any questions? If you have any suggestions or questions, please reply below or contact us directly via Private Message or email. Thank you for taking time to get familiar with these new housekeeping policies. With your help, we can continue to maintain a safe environment for all new Tripawds members, visitors, and their pets. Thank you to everyone for helping us make the community better than ever. A big thanks to Admin for putting so much work into this feature, and explaining it! We appreciate your support and feedback Sally! Thank you Jerry and Admin!!! This is brilliant! We are all here because we care… going through any type of surgery for our pets is so very scary and we are so very vulnerable during this time, so this is an excellent post to outline what we as members are here for… Support and Care! You have explained it all beautifully! Thank you! Please give Wyatt a sloppy kiss from Super Stu and many purrrs and snuggles from the Allen Clan! You are so very welcome Petra!